Pursuing a Doctor of Philosophy in Political Science with the Graduate Center of the City University of New York, David Firester has a record of advanced training and operations within the United States military. A former Intelligence Analyst with the United States Army 3100th Strategic Intelligence Group, David Firester completed an extensive course of military leadership training before he was honorably discharged at the rank of Staff Sergeant. During his service, David Firester mastered Advanced Individual Training in Intelligence, Basic Noncommissioned Officer, and Warrior Leader courses, as well as flight crew training for Task Force ODIN (Observe, Detect, Identify, and Neutralize). Since his enlistment into the military in 2002, he has served in several capacities, including Imagery Intelligence Analyst, Air Sensor Operator, Standardization Instructor, and All Source Intelligence Analyst. Honorably discharged from military service in 2010, David Firester was awarded the United States Army Air Medal for combat performance during his military tour in Iraq. Primarily serving with the U.S. Army Reserve, David Firester subsequently held positions within the communities in which he was stationed. During his time in New York, he served as a substitute teacher and tutor for the Middletown Board of Education while pursuing police certification with the Rockland County Police Academy. 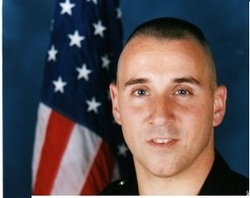 As Class President of the Academy, he completed his certification in 2005 and earned a position with the Orange County Sheriff’s Office in Goshen, New York. Earning the title of Deputy Sheriff, Mr. Firester served as a Crisis Negotiator and Field Intelligence Officer specializing in narcotics identification, radiation detection, weapons, and commercial vehicle enforcement. David Firester completed his undergraduate education at Hunter College in New York City, where he earned his Bachelor of Arts in Political Science in 2002. Continuing his graduate studies, Mr. Firester received his Master of Arts in International Affairs from the City College of New York, where he distinguished himself with the John Herz Award for Best Master’s Thesis in International Relations.